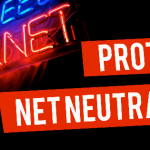 WASHINGTON, DC – U.S. 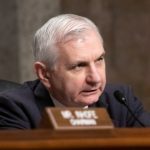 Senator Jack Reed (D-RI) today backed the Trump Administration’s decision to extend Deferred Enforced Departure (DED) for qualified people from Liberia for one year, through March 31, 2020, and is calling for Congress to enact a more permanent legislative resolution. Trump’s announcement today means Liberians who have been legally living in the United States may stay another 12 months without threat of deportation, bringing a protracted effort by Senator Reed to secure the extension to a positive conclusion. If President Trump had not approved the DED extension, many Liberians could have been at risk of deportation starting Sunday, March 31. Many of the Liberians living in the United States who received this DED extension fled Liberia when it was engulfed in two bloody civil wars from 1989 to 1997 and 1999 to 2003 that killed hundreds of thousands of people and displaced more than half of the population. Since then, many Liberians built new lives in Rhode Island – having children, starting businesses, buying homes, and paying U.S. taxes. The Ocean State is home to one of the largest Liberian populations per capita in the United States.